Comments: Considered a high climbing vine, up to 50 feet, with aerial rootlets for attachment; it is actually a high climbing shrub. There are many leaf forms having from three to five lobes. Leaves of cultivars vary widely in different sizes and shapes. Leaves come in different shades of green, from light, to dark to variegated. They have white flowers which are followed by poisonous black berries. 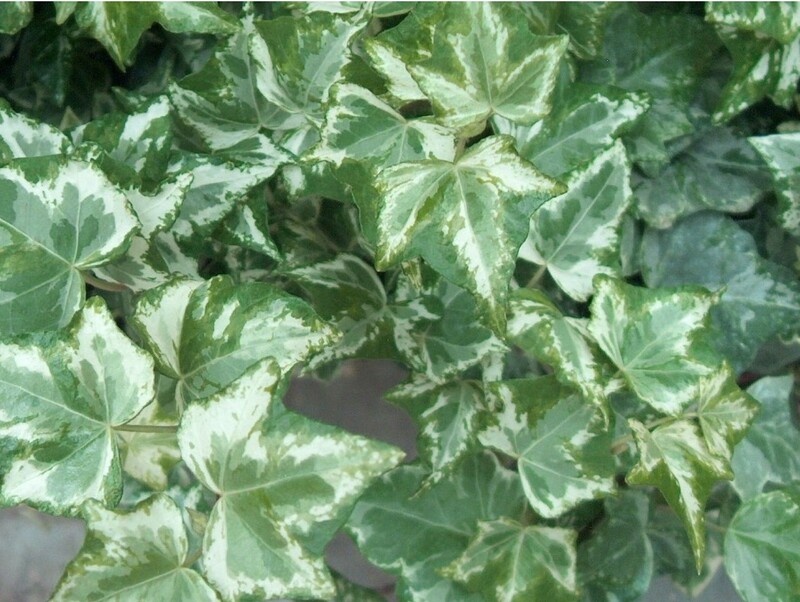 Used extensively as a ground cover in sun, part shade or shade areas. Also used in containers and hanging baskets.